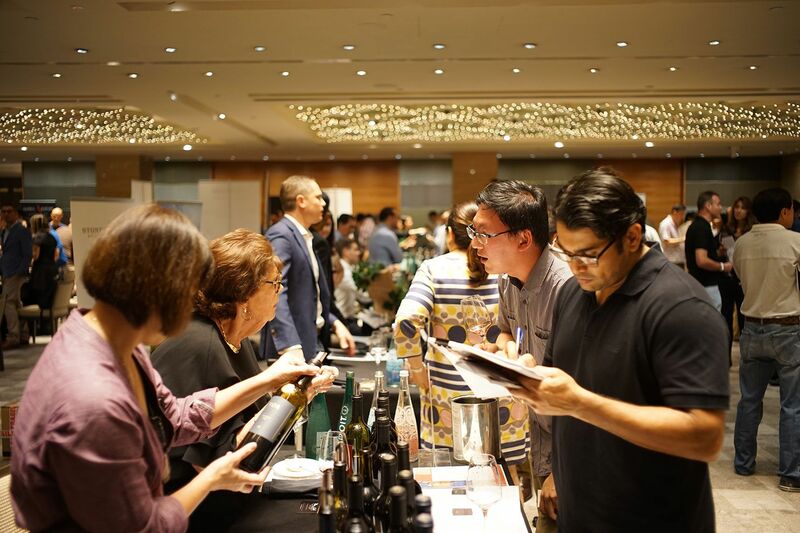 One of the year’s most hotly anticipated wine events, Robert Parker Wine Advocate’s Matter of Taste is returning for its fifth Singapore edition. But this time it’s taking place on August 24 and 25, two months earlier than last year, and at a new location, the Regent Hotel Singapore's Royal Pavilion Ballroom. What hasn’t change is its celebrated showcase of some of the finest wines from across the globe; more than 300 prestigious and discovery wines rated 90 Robert Parker points and above, as well as exceptional vintages rated 100 Robert Parker points, that guests can sample during the five hours of unlimited wine tasting during Saturday's walkabout from noon to 5pm. Sought-after labels such as 1941 Kopke Colheita Tawny Port (RP 97), 2014 Harlan Estate Proprietary Red Wine (RP 98) and 2010 Casanova di Neri Brunello di Montalcino Cerretalto (RP 100) are just some enticing examples. But it is this year’s uniquely diverse showing that is the real gem of an opportunity. And, yes, there will be masterclasses on spotlighted regions, such as the American state of Oregon where some of the world’s most interesting pinot noirs and chardonnays are made. “Oregon wines are very well featured in the entire programme,” Robert Parker Wine Advocate's Director, Business Development & Communication, Patrick Sauze tells T.Dining. He was quick to warn against categorising these wines as under-appreciated as they enjoy very high recognition in the US. But he did add that they deserve to be better known on an international level, especially in Asia. Sauze did however admit that it is a challenge for any wine region focused on producing pinot noir and chardonnay to be in the limelight when you have Burgundy that is universally known and thriving with up-coming talented wine makers. Even so, The Willamette Valley has amazing gems to discover and he is confident it will garner new fans in Singapore. The same can be said about this edition’s walkabout tasting, with its exciting mix of classics and discovery wines. “Italian wineries are in full force with some great names from Brunello, Barolo, Barbaresco, Sicily ... and we are very honoured to have a RP100 pointer Brunello,” Sauze assures, adding that it is good to revisit iconic names from the Rhone, Bordeaux, Australia, New Zealand, Chile, Argentina and other regions. This year, Matter of Taste Singapore will host three exclusive Wine Dinners on August 24 and six exclusive Wine Tasting Masterclasses the day after. The former will include The Oregon Red Gold Dinner hosted by Erin Brooks at the Regent Hotel’s Michelin-starred Summer Palace. Brooks will also be hosting the masterclass on Oregon’s Willamette Valley and another on prized Amarone and Valpolicella wines. For details on programme and ticketing, visit https://a-matter-of-taste.com/en/event/singapore-2018.